Last year, B received a total of 4 awards. 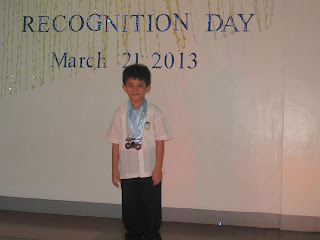 He was Most Active, Best in Math, 3rd place Elocution Contest, and Third Honors in his batch. He was in Prep. 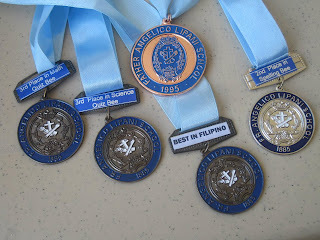 This year, B received a total of 5 awards. 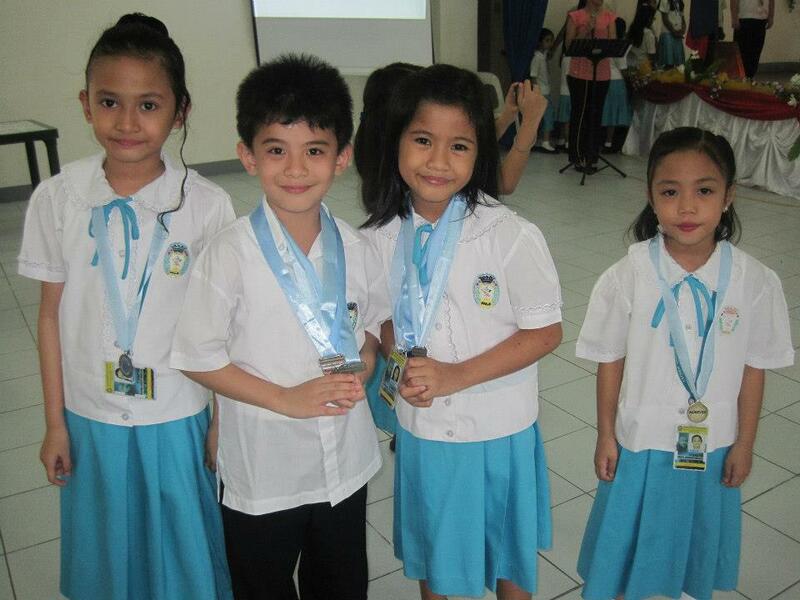 He received Best in Filipino, 3rd place Science Quiz Bee, 3rd place Math Quiz Bee, 2nd place Spelling Bee, and Third Honors in his batch. 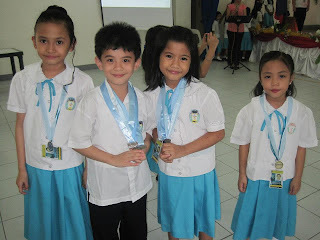 He is now in 1st Grade. 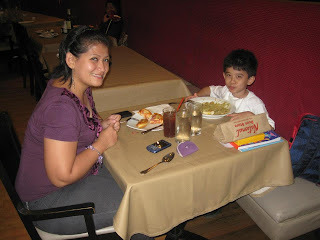 Through all this, I have always been the proud Mom but I am more proud of B this year because from 2nd quarter to 4th quarter, he studied on his own. I did not make test guides for him but merely let him review on his own and believed him when he said he already studied. 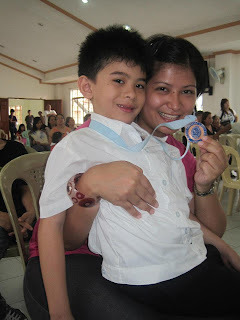 Seeing all the medals he received as well as his grades, I know that my son was telling the truth. 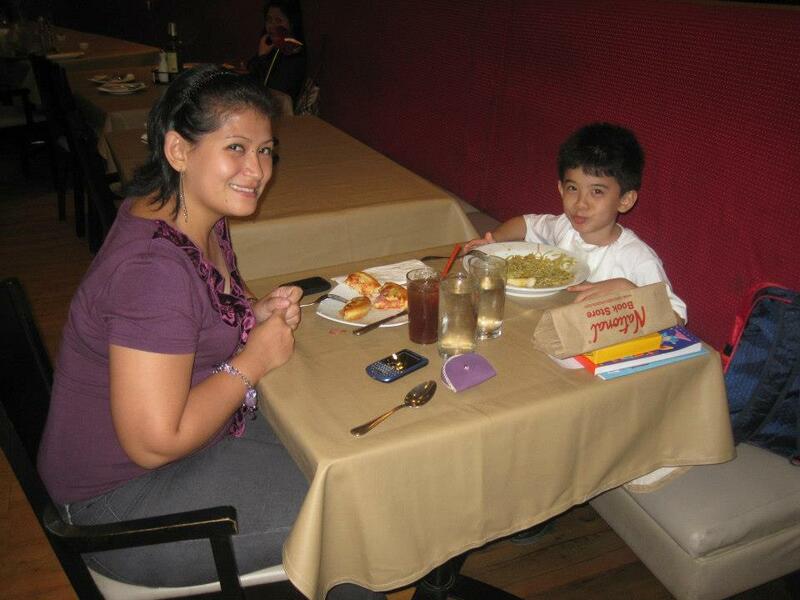 For this, I am truly thankful that I was able to instill the right values when it comes to his education. Thank you God. 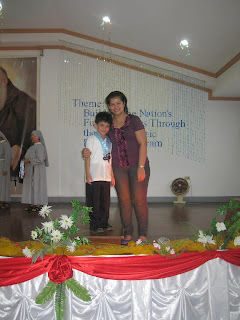 Please continue guiding my son and most especially, please continue to guide me. Wow! 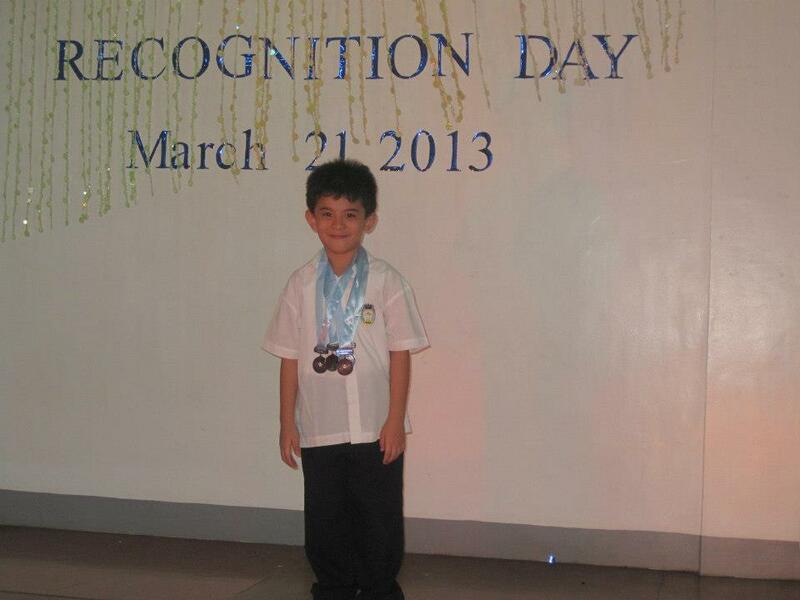 You're so lucky to have him both smart and handsome. I'm sure he'll be popular with girls too.